This year featuring award-winning acts such as The Seldom Scene, Jim Lauderdale with Della Mae, the Grammy-award-winning Del McCoury Band and Grammy-nominated Rhonda Vincent and the Rage, the highly touted Joe Val Bluegrass Festival not only has endured, it’s become a launching pad for bands, many of whom will land gigs on bigger stages nationwide as the year progresses. Some of the performers at the 2015 Joe Val Bluegrass Festival. The Joe Val festival, named for well-known mandolin player Joseph Valiante from Everett, Mass. who died in 1985, celebrates the best of bluegrass, but also recognizes and provides a stage for up-and-coming acts that have become the farm team for the genre. So you will see regional bands, from the Hudson Valley’s Moonshine Creek, Connecticut’s Five in the Chamber, the Mary Maguire Band with its collection of New England veteran players and Cold Chocolate, a progressive jazz-fusion band from Boston, among many others. Bluegrass, unlike other forms of commercial music, credits its popularity with its fans, many of whom form their own bands or simply play the instruments that make up the genre: banjo, guitar, mandolin, bass, fiddle and dobro. The Joe Val festival is a perfect example of this. The first thing you’ll see and hear when you enter the Framingham Sheraton are the fans actually jamming — everywhere. By it’s very nature bluegrass is an inclusive type of music. While big-name acts draw fans of all ages, a large percentage look forward to attending so that they can play music themselves with friends and strangers. Bluegrass is a shared bond, and you don’t need to know someone as long as they can play a respected bluegrass classic. Many fans will make a point of seeing renowned performers like Rhonda Vincent closing Friday or The Seldom Scene on Saturday night, but when the shows end, those fans will adjourn to “picking floors” at the Sheraton and play music into the night, many until morning. This is something that will happen. It always does. Newcomers to the music are often amazed by the jamming phenomenon. If you think those fans are just wannabees who just want to play and party, you would be only partially correct. Some will meet other players, and bands will form. Some will actually “make it,” while others will enjoy performing in non-money-making bands who play for the sake of playing and having an audience — a genre, like folk music, surviving on its love for the music. Probably more than a handful of these really great musicians will return to their cubicles or other less-glamorous professions when the festival ends. Unless their friends or families have attended festivals with them, bluegrass is a secret other life in which they play music for the sheer joy of it. The festival offers workshops for new players and even a Master Class on Friday for veterans, and will offer the 13th Bluegrass Academy for Kids, helping to keep the music alive through its youth. 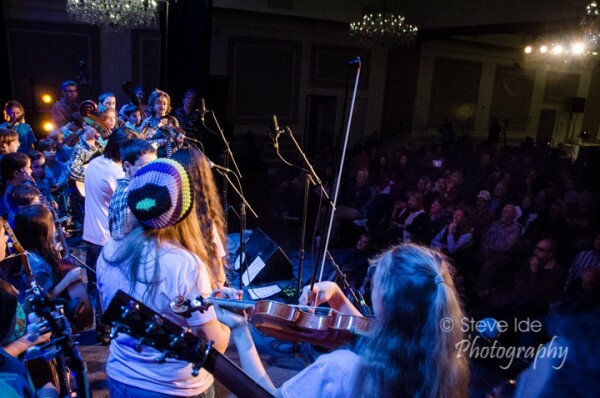 The Joe Val Bluegrass Festival, run by the nonprofit Boston Bluegrass Union, will feature some of the top acts in the business and you should check out the schedule. The festival falls on President’s Day weekend, and while the main stage music ends on Sunday afternoon, many people will stay until Monday. For the first time, the festival is offering a Sunday night dance party called the Wind-up Hoe-down, featuring Twisted Pine, The Hi-Tone Ramblers and Honky Tonk Masquerade. Friday night’s schedule includes Berklee Students Featuring Twisted Pine, Jenni Lyn and the Palmetto Bluegrass Band, The Roland White Band, Helen Highwater String Band and Rhonda Vincent and the Rage. Saturday’s line-up is: The Zolla Boys, Zink & Company, The New England Bluegrass Band, Bob Amos and Catamount Crossing, Dan Paisley and the Southern Grass, Laurie Lewis and the Right Hands, Della Mae, Frank Solivan and Dirty Kitchen, Rabbit in a Log, Dan Paisley and the Southern Grass, Jim Lauderdale with special guests Della Mae, Laurie Lewis and the Right Hands, Frank Solivan and Dirty Kitchen, and The Seldom Scene. 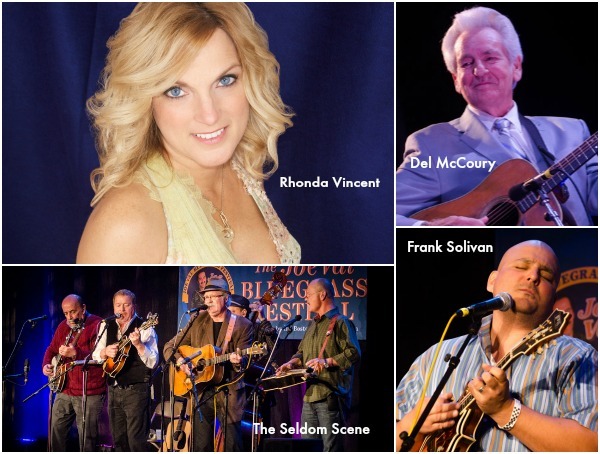 Sunday brings to stage: Bluegrass Gospel Project, The Kathy Kallick Band, the Kids Academy, The Lonely HeartString Band, Town Mountain, Laurie and Kathy Singing Songs of Vern and Ray, and The Del McCoury Band.